When KHOU moved…..errrrrrr…. was forced out of their old building by Hurricane Harvey, they left a lot of things behind. 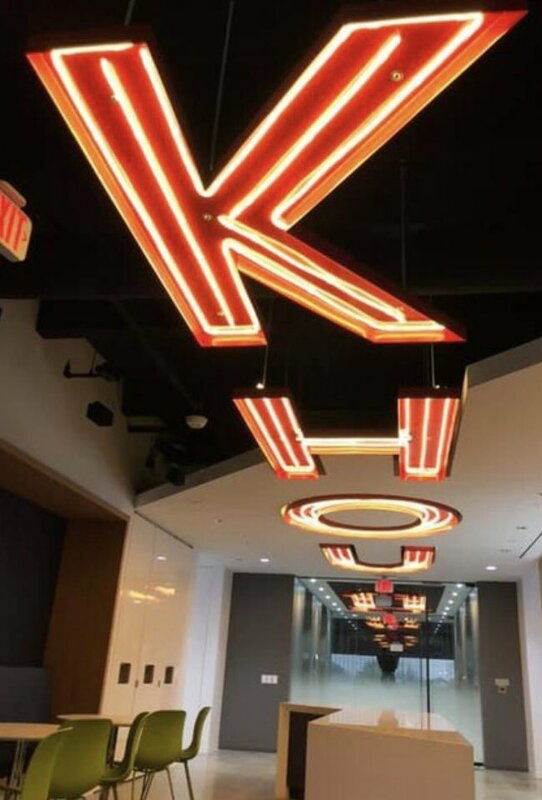 But the old neon letters KHOU that stood tall over downtown in their old building has made the trip to their new studio. The old KHOU is now part of the ceiling in their new building. Nice to see they kept a piece of the past in the new place.